Club Assist is an organization that works with roadside assistance companies to provide support for battery replacements. 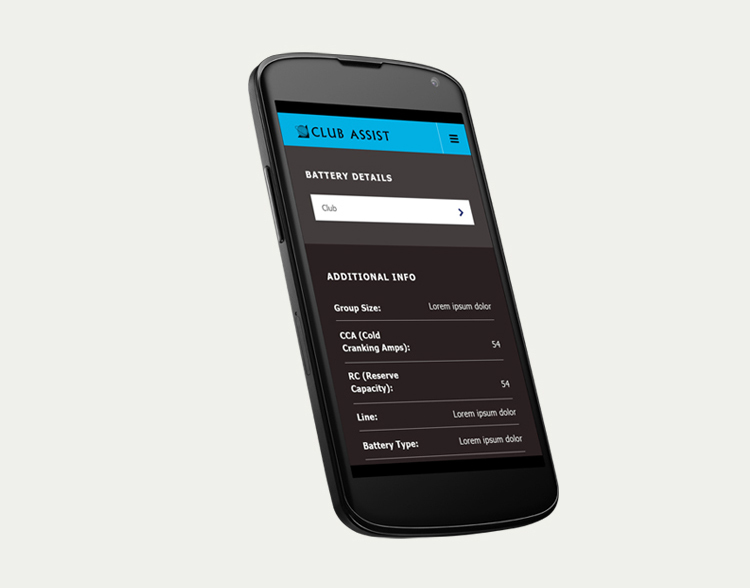 With the wide array of cars and compatible batteries that their service technicians can encounter, Club Assist wanted an easy way for this information to be available on the field. They engaged Industrial to build the Toolbox Battery Guide, an application for mobile devices (phones and tablets) that provide technicians a reference guide to obtain information on the types of batteries and costs, for any car that they encounter in the field. Because technicians often need to service cars that have broken down in more remote locations, the application needed to have all information available offline. 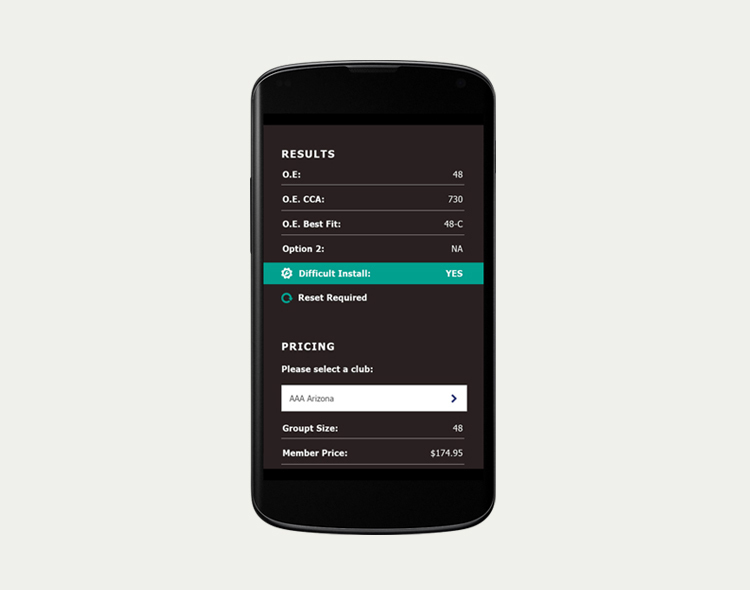 This ruled out the possibility for a responsive web application, so a mobile app was built. As the application was going to be used strictly for data consumption, and needed to be cross platform, the Ionic framework was a perfect tool to use in development. Ionic allows for rapid development of HTML5 applications that can be compiled across Android and iOS platforms. The framework leverages technologies that Industrial is very familiar in using, including AngularJS and SASS. 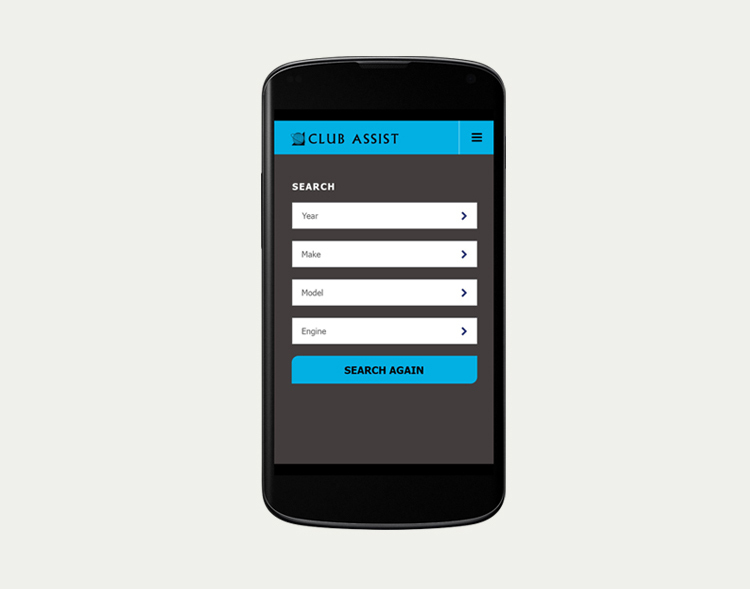 The mobile application provided a front end experience for interacting with a data set that Club Assist made available through the use of an Application Program Interface (API). When updates to the database are made, the API version is updated and the mobile application refreshed the local database whenever a technician has an available connection. This allows the offline data to stay as up to date as possible. A challenge in developing a mobile application across such a wide range of platforms is in trying to test cross device compatibility. While iOS is more of a defined factor, with a limited number of supported operating systems across phones from only one hardware developer, Android has a much more open platform. A combination of emulators from Android Studio and 3rd party developers, as well as physical devices allowed Industrial to cover a wider range of platforms. In the development of the Toolbox application, Industrial leveraged frequent working sessions with Club Assist, to refine the application during the development process. This collaboration also helped with the testing of Club Assist’s API, to ensure that the application was receiving the correct data. Industrial was able to produce an application in a state that it could be enhanced upon as the client prepared for launch. The Agile approach of early prototype developments and iterations meant Industrial was fully prepared to deploy when Club Assist needed. Club Assist was attending a trade show where they wanted to be able to launch and demonstrate the application. The product was pushed live through Apple's App Store and Google's Play store in June 2015. By leveraging Agile work processes and client collaboration, Industrial’s first mobile app using the Ionic framework was released as a major success. Club Assist partners with trusted motoring organizations worldwide, improving member experiences through the provision of automotive battery supply and roadside replacement, automotive glass repair and replacement, and other member services.